The Summer School for Greek Language, History and Culture began in Thessaloniki in 1964. In 1973 and 1985 it was reorganized into a truly international institution, welcoming students from all over the world. The Summer School prides itself on offering the most high-quality and efficient courses in Greek language and culture, thus contributing to the promotion of Greek language and culture at an international level. The majority of non-Greeks current employed in universities all over the world to undertake research and teach Modern Greek have at one time passed through the Summer School for Greek Language, History and Culture. The Summer School takes place in August and offers an intensive Programme. Participants (foreign students, researchers in Modern Greek and related subjects, teachers and diplomats) have the opportunity to obtain a better understanding of Greek society and immerse themselves for a month in the language and cultural traditions. In recognition of the goals and achievements of the Programme, throughout the years the Ministry of Culture and Sports has very generously and successfully supported the Institute for Balkan Studies, offering significant numbers of scholarships to foreign students, thus enabling them to participate in the Programme. These scholarships form one of the Greek state’s most important investments in culture. The 47th Summer School for Greek Language, History and Culture will take place in Thessaloniki from July 28 to August 25, 2019. In this address you can find the application form that you have to send until 31 May 2018 with all the others needed documents http://www.imxa.gr/summerschool/school2_gr.htm . The Summer School for Greek Language, History and Culture began in Thessaloniki in 1964. In 1973 and 1985 it was reorganised into a truly international institution, welcoming students from all over the world. In recognition of the goals and achievements of the Programme, throughout the years the Ministry of Culture and Sports has very generously and succesfully supported the Institute for Balkan Studies, offering significant numbers of scholarships to foreign students, thus enabling them to participate in the Programme. These scholarships form one of the Greek state’s most important investments in culture. The Institute for Balkan Studies is in the unpleasant position to announce the cancellation of the 43rd International Summer School, because the Ministry of Culture, Education and Religious Affairs cannot proceed with the announcement of the scholarships for international students due to the financial situation. CulMe-WeOnCT project promotes the common cultural and historical origins of Egypt, Greece, Italy and Jordan focusing on their common Greek-Roman heritage. In the Conference, CulMe-WeOnCT’s documentary will be presented, with representative samples of the most important monuments of the Greek - Roman period saved in Greece, Italy, Jordan and Egypt. These selected monuments form a part of a past civilization and at the same time of our common Mediterranean heritage. The dissemination of this common heritage is our aim. 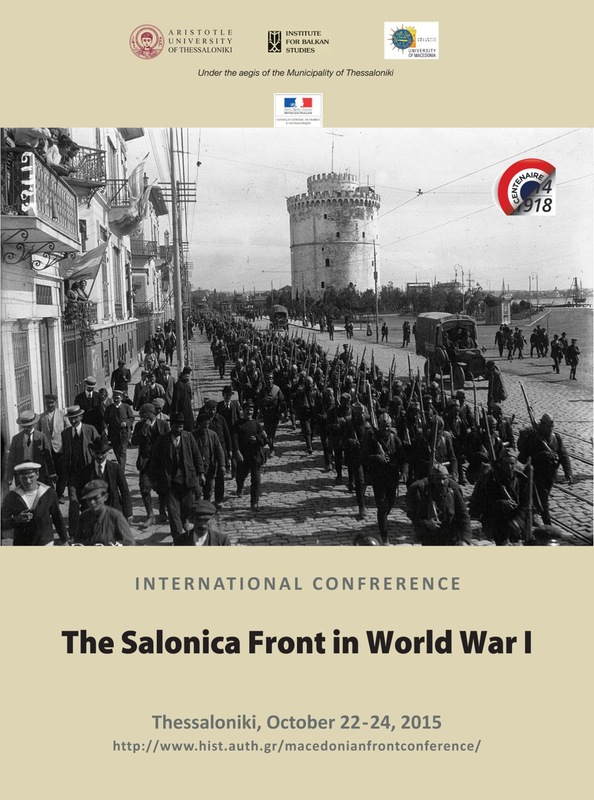 We look forward to seeing you in Thessaloniki! The project “Culture in the Mediterranean and Europe – Weaving on Common Threads” is implemented under the ENPI CBC Mediterranean Sea Basin Programme and is financed, for an amount of 449.280 Euro (90%), by the European Union through the European Neighbourhood and Partnership Instrument.